Photo: Gorgeous costumes for Bel Ami! 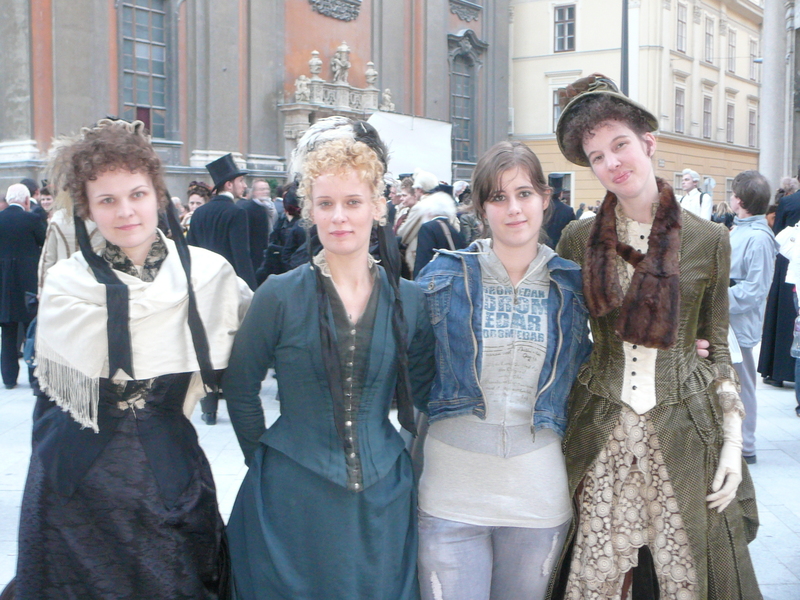 Cimbora93 tweeted this photo of her posing with 3 filming extras from Bel Ami 4.9.10. The costume designer, Odile Dicks-Mireaux, has really outdone herself. 7 Responses to "Photo: Gorgeous costumes for Bel Ami!" Wow,these are So gorgeous!She really HAS outdone herself w/these costumes.Hope they recognize her when oscar time rolls around!Beautiful. I am the Hat Designer for the film, and have been working tirelessly for all the leading ladies(and a fitting for R.P) for the past 12 weeks.Hope you like them!! Odile has a fantastic eye, and has done a stunning job.I will make sure she hears of all your kind words! these are really great costumes and so in period! i, too, hope that she gets the recognition she deserves; she deserves it! am loving the costumes for the major actors as well. haven’t seen anything quite so beautiful or nice in a looong time! Total agreement for sure!!! All the costumes we’ve seen in the last 2 wks have been so fabulous!!! Especially love the the colors in RC’S outfit it’s so vivid!!! Fantastic work! Beautiful colours and a very delicate work!